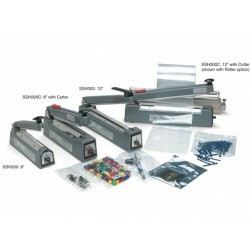 Gramatech is proud to offer a quality, value priced table top band sealer. 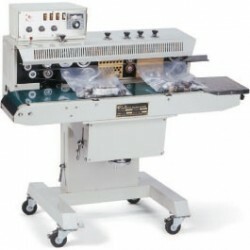 This machines comes set up in the horizontal configuration but can easily be converted to a vertical configuration for an extra $150.00 (as seen in included photo). 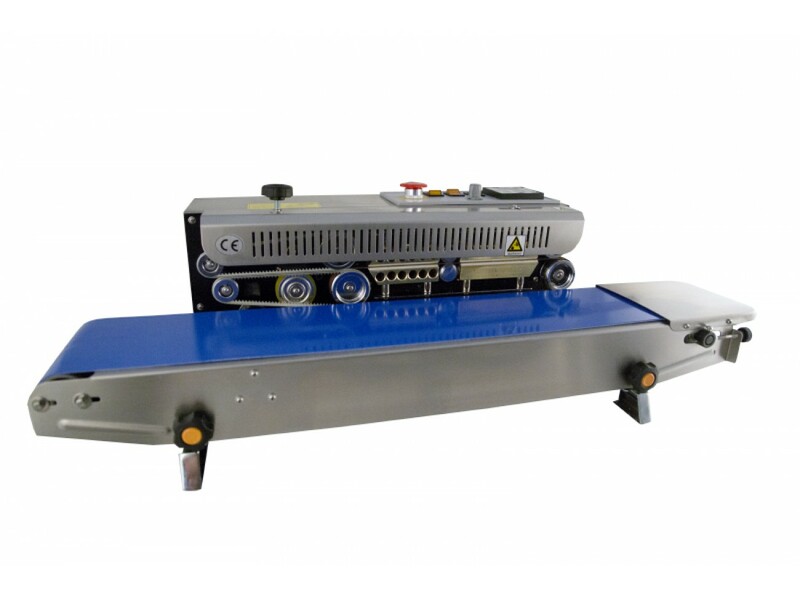 With features like a built in conveyor and a standard embossing attachment, this unit is the best value in a light duty band sealer on the market today. 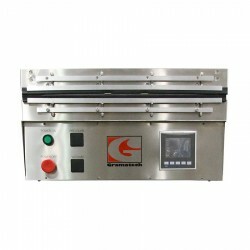 Sealing temperature is controlled with a solid state temperature controller, and seal cooling is accomplished with a forced air fan. Call today for a distributor in your area or to arrange for a sealed sample of your product. We want to be Your Complete Packaging Resource.